We’re pleased to introduce a new column from Monteverde resident Marshall Cobb, who will share commentary on this unique and storied community northwest of San José. Eager to a visit to this lush, green tourist draw? 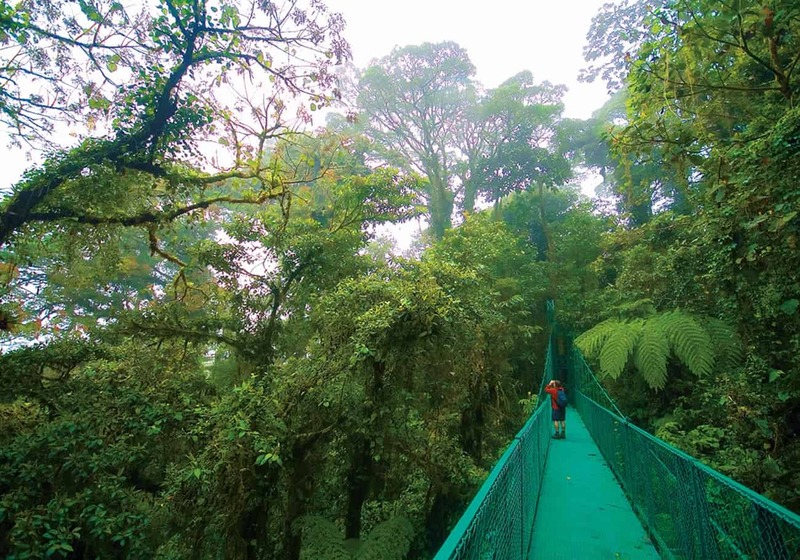 Read more on Monteverde in our Travel section. I stopped my stroll along the dirt road and leaned down to try and see the driver. It was one of the ubiquitous Daihatsu rental cars optimistically advertised as full-sized with four-wheel drive. I smiled past the lady in the passenger seat, who looked nervous, and accidentally locked eyes with the man behind the wheel, who looked frazzled. A bead of sweat trickled down his temple and he tried, and failed, to avoid flinching in response to the kicks that the two small children tethered into oversized car seats in the second row were delivering to the back of his seat. I’d been this exact guy about five years ago on our first trip to Monteverde. It’s a long, hard drive, particularly with your entire family and related luggage squeezed into less space than is typically provided by a mini-fridge. His eyes spoke panic, so I tried to keep my response short and simple. “A little more than three more kilometers that way.” I pointed in the same direction he was already headed down the bumpy dirt road. “Why wouldn’t they fix the sign? Isn’t this the biggest tourist attraction in the area? He had a good point, but he wasn’t grasping the situation. Pura vida, as I’ve come to find out over the last couple of years, means that you should be happy the sign is pointing the right direction. The fact that somebody might have mixed up which sign should go where from a distance standpoint wasn’t really material. I wanted to say that all the locals know where the Reserve is and, like cat skeletons up trees, permanently lost tourists don’t exist. It was all going to work out. I didn’t say any of this but instead took the advice of comedian Bill Burr, treating the situation like you’d treat a large, nervous rescue dog: slow, calm words and no sudden moves. I winced as a large tourist bus full of grey-haired, well-heeled tourists honked at the stopped car and blew by on the wrong side of the dirt road. The honk made the kids stop screaming and kicking, at least for a second. Locals often jokingly refer to the posh tour buses as the “five thousand year buses” due to the collective age of those therein. I bent down and looked at the map. I’d seen a lot of horrible, completely not-to-scale maps produced by the hostels and hotels in the area, but this one looked homemade (criollo, as we now say in our family). In the background, the ever-antsy husband rolled his eyes. She frowned. “I don’t understand. I thought we’d been driving through Monteverde for a while already.” She pointed to a spot further back on the map. “See, this is our hotel. And our hotel is in Monteverde. This could have gone a variety of directions. I could’ve said that once the Quakers, who settled here in the 1950s and named their purchase Monteverde, leased a large portion of their land in the 1970s to help create what is now the Monteverde Cloud Forest Biological Reserve. Eventually local businesses started cashing in on the tourism angle and hotels and restaurants that weren’t particularly close to the Reserve and had nothing to do with conservation proudly announced that they were located in Monteverde. 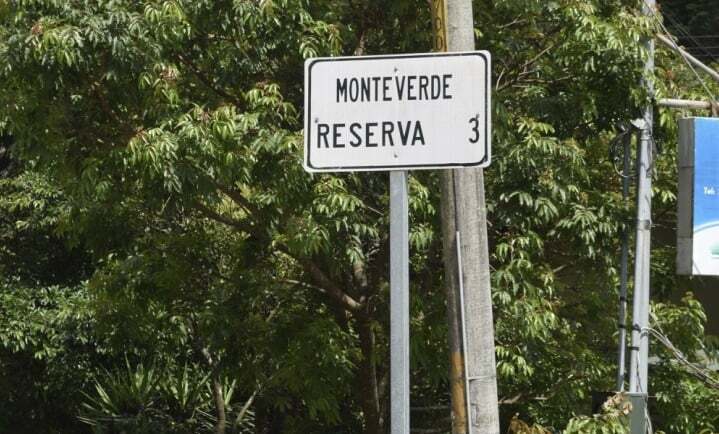 Further, as I learned from Lucille “Lucky” Guindon (one of those early Quaker settlers), the Costa Rican government got in on the act and eventually named the entire district Monte Verde (though why they made it two words remains an unsolved mystery). I could’ve said all of that, but the driver likely would have resorted to violence. Instead, I smiled and said, “Your hotel is actually in a small town called Cerro Plano. I know it’s confusing but all you have to do is drive about three more kilometers that way.” I again pointed the same direction they were already headed. No one looked happy, and the kids began bickering in earnest. The man grumbled under his breath and put the car back in gear, grinding it a bit, like a lot of other folks who aren’t used to a stick shift. 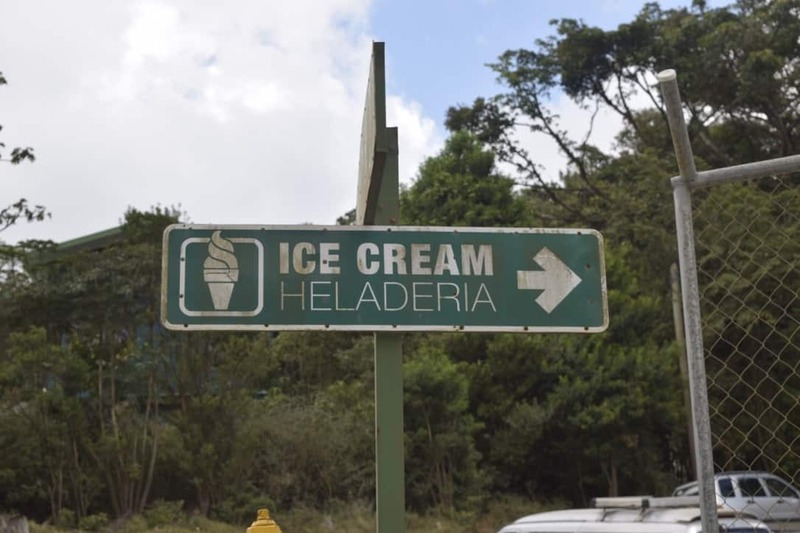 I watched them drive off, fighting the impulse to let them know that the Quakers had sold the cheese factory to a Mexican company several years back, and the new owners had eliminated the tours — though you can still buy ice cream. I continued my morning walk back towards our house, which is tucked away in the woods in the hamlet of Cerro Plano. Our move here was an unexpected development that evolved out of what was supposed to be a one-year sabbatical. I had been just like that driver: Type-A, rules-oriented, demanding. Pura vida has not completely changed me, but I suspect the walking and the reduced stress level may gift me a few years I would otherwise not have seen — unless I end up getting run-over by one of the tourist buses flying by in the sidewalk-free portions of the Monte Verde district. Stay tuned for more on Monteverde in Marshall’s new series in The Tico Times. Next up: a look at this region’s unusual history.